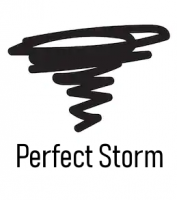 PerfectStorm had the most liked content! A young weather enthusiast who likes almost every type of weather you can imagine. Temp up in the hills of Quinton where I live is 3.2C with a dew point of 2.5C. Obviously just moderate rain here but it's much colder than I thought it would be. Currently in brum city centre and there are a group of tourists - I do often wonder what they must think on days like today. 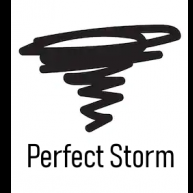 You mean to say that the Metoffice don't formulate forecasts based on Netweather opinions? Where do you find that? Anyone have access to the live temperature recordings that the MetOffice use? I'd imagine it would be far bigger than whatever happens between now and tomorrow morning. Anyone have word on the developing background signals from early-Dec? Current temperature, very spring-like. When do these 'background signals' do something? I was thinking then, surely it's all relative? -16C uppers were moderated somewhat by the strengthening sun...still bitterly cold mind. -8C uppers in December weren't moderated and broke local seasonal temperature records. I guess though a 'beast' in its strictest sense is an easterly with extremely cold uppers. Looks like cloud masquerading as snow?